NYC, 04/24/2019, 2:00PM. Dead Man Walking (1995): Oscar Winning Drama Starring Sean Penn By Tim Robbins. 122 min. Director: Tim Robbins. Starring Susan Sarandon, Sean Penn, Robert Prosky. 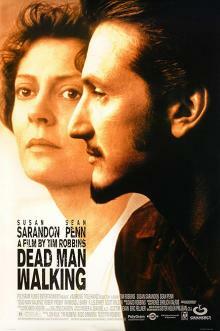 At the 68th Academy Awards, Dead Man Walking was nominated in four different categories: Susan Sarandon won the Academy Award for Best Actress for her role, Sean Penn was nominated for the Academy Award for Best Actor, Tim Robbins was nominated for Best Director and its main track "Dead Man Walkin'" by Bruce Springsteen was nominated for Best Original Song.